We’re thrilled to announce that CarShop, the UK’s leading car supermarket group, has chosen Global’s Make Some Noise as the first ever national charity to be supported by its brand new CarShop Cares Charity Programme in 2017. 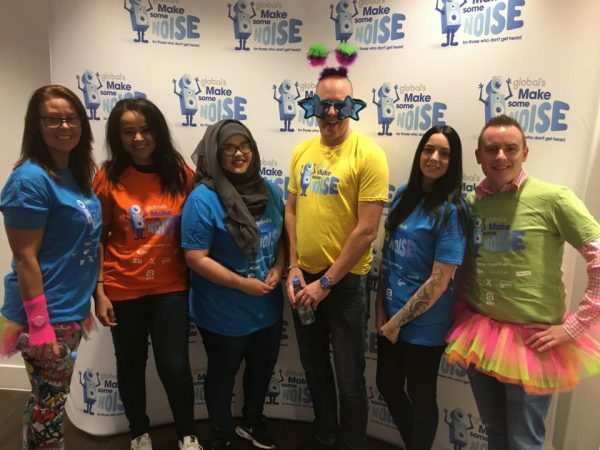 CarShop colleagues were responsible for selecting the national charity via a company-wide vote and our friends at CarShop have lots of brilliant ideas with the aim to raise a huge £100,000 for Global’s Make Some Noise! The funds raised will make a massive difference to youngsters and their families across the UK and we’re extremely grateful to CarShop for their support. Take a look on CarShop’s website for more information on the CarShop Cares programme and their fantastic fundraising. 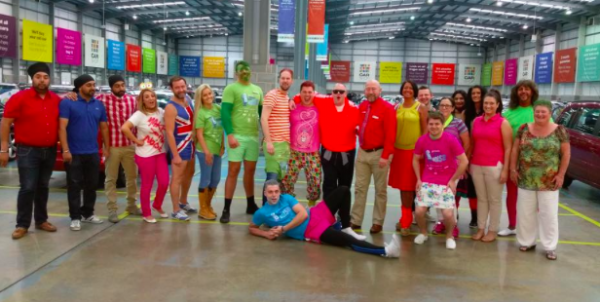 Just look at this snippet of their epic ‘Dress Loud’ takeover across CarShop’s locations for Make Some Noise Day on 7th October 2016! A BIG thank you also goes to the special CarShop team that visited Global HQ on the big day to man the phones and take in donations. You’re all stars! CarShop held their first ever Management Conference which brought CarShop and partners together. 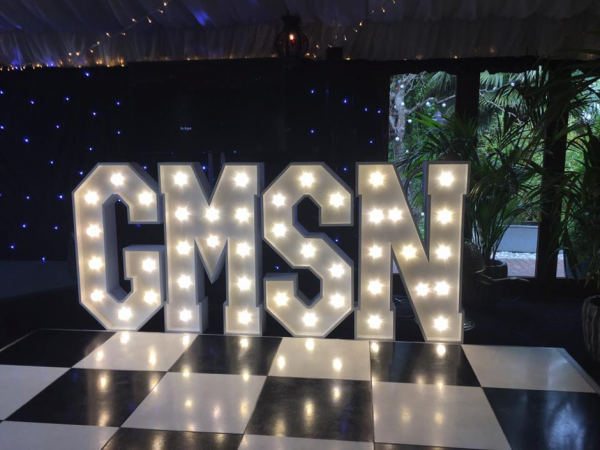 Their special evening event raised over £7400 for Global’s Make Some Noise to round off 2016 fundraising efforts with a bang. 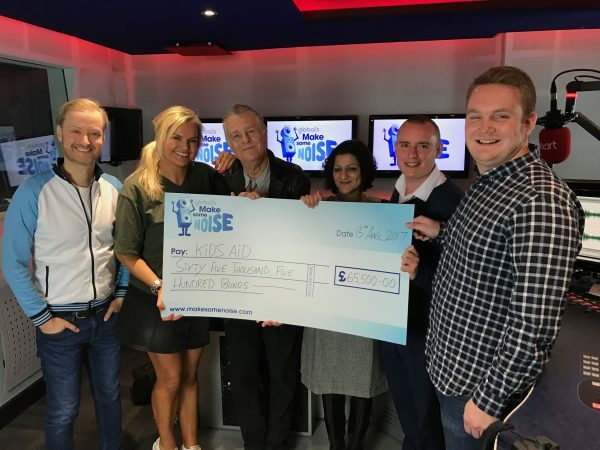 CarShop also popped into the studios to help us present KidsAid, one of our small projects, with an incredible cheque for £65,500 thanks to your amazing fundraising efforts over the past 12 months. CarShop’s special Charity Ball lit up the night on Thursday 18th May, raising over £12k! Thank you for putting our name up in lights! There’s even more exciting fundraising already planned with a team bravely taking on the National Three Peaks Challenge in August. There’s no stopping CarShop!